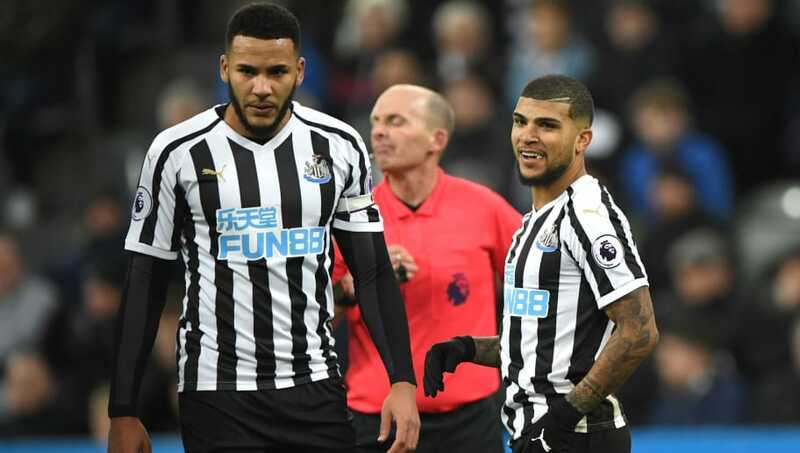 ​Newcastle duo Jamaal Lascelles and DeAndre Yedlin took time out of their hectic schedules to dish the dirt on each other's dress sense, their best features and which teams they play as on NBA Live 19. It seems as though a rivalry could develop between the two when it comes to EA Sports basketball game NBA Live 19, with United States international Yedlin favouring Lebron James' Los Angeles Lakers and former Nottingham Forest centre back Lascelles picking Golden State Warriors, both teams that are based in California. While the pair jokingly bantered over some questionable style choices, with Lascelles taking particular issue with Yedlin's head bandana and the American bringing up some controversial ill-fitting sweatpants, there were also some nicer things said. When asked what the best thing about having Yedlin as a teammate is, Lascelles exclusively told 90min: "He's a great player, he's an amazing athlete. "He brings so much energy to the changing room, he's friends with everybody and gets everyone together. He's just a good person to have round. "I play next to him as well, I'm centre half and he's right back. He's a good human being." The duo also correctly guessed each other's middle names, Yedlin revealing Lascelles doesn't have one and the Newcastle skipper accurately plugging for Roselle, while neither have any qualms picking up the bill after a meal out. Lascelles and Yedlin have featured heavily under Rafa Benitez so far this season, making a combined 38 Premier League appearances, with Lascelles often linked with a potential England call-up.